ABC News recaps the case and answers some important questions, including a look back at how the occupation started and ended, what exactly went down in court (including Ammon Bundy's attorney getting stun-gunned), and what's now at stake. Lane Crothers at the New York Daily News notes there are two things about the verdict that "should scare all Americans." The first, per Crothers, is that it was a "clear case of jury nullification," in which the jurors were swayed by their own opinions rather than the letter of the law. The second? Well, Crothers says it's tied to Donald Trump, as well as to "a resurgence of the violence that was once endemic across the American West." The Oregonian points out how the verdict has "[deepened] divides" among the locals. While almost everyone seemed shocked by the verdict, which way their moods veered differed. One local businesswoman and rancher lauded the "great news" and noted "we need to continue getting back in control and not having 40% of our county under public employment." But another resident's take? "It's absolutely devastating. It's awful. We're just disgusted with the verdict." Comparisons have been drawn between what happened to the Malheur Seven on the wildlife reserve and what's currently going on with the Native-America Lakota protests to the Dakota Access Pipeline—including the very different federal response to both. 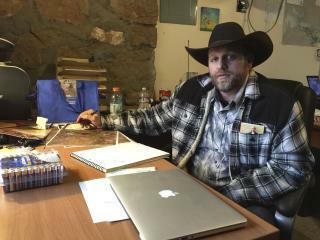 NPR examines how the Bundy brouhaha has actually united Native Americans to save their land. Shaun King spells out for the Daily News what really led to Thursday's jury decision in "America 2016": white privilege. Loud Applause, straight thinking jury! Next time something like this happens, I doubt the locals will wait 41 days for law enforcement to act. Black folk had OJ, and we've got these yahoos. Are we even yet?